Sometimes life throws you something totally unexpected. These two globetrotters met the previous summer on one of those hot, humid nights where the right music and the energy of the crowd was happening. They spied each other from afar, smiled and they knew that there was something very special unspoken between them. They walked up, met, shared lots of laughs, stories and enjoyed the evening where time simply stood still. 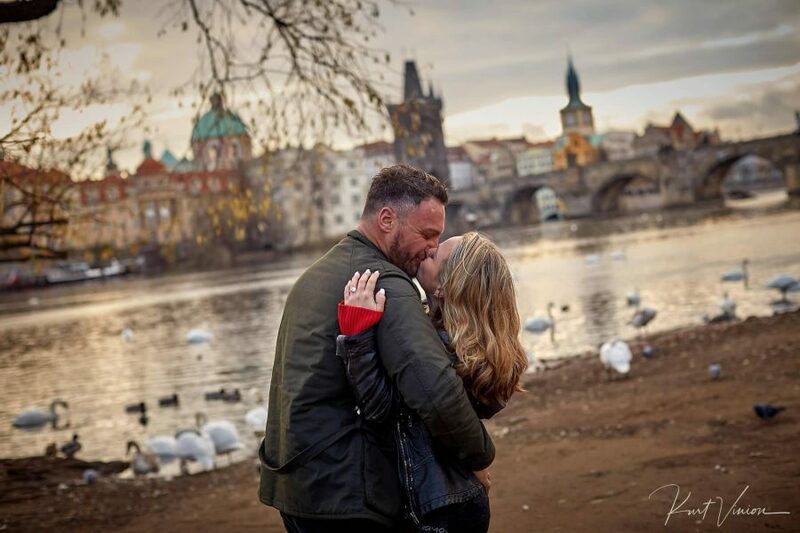 One of their fondest memories from that night was the two of them taking a long walk that night in to the early hours on the Charles Bridge as the twilight broke above them. It was an unforgettable chance encounter one that they could not shake. As they live on different continents it was one of those affairs where they really became close even though they were so far apart physically. 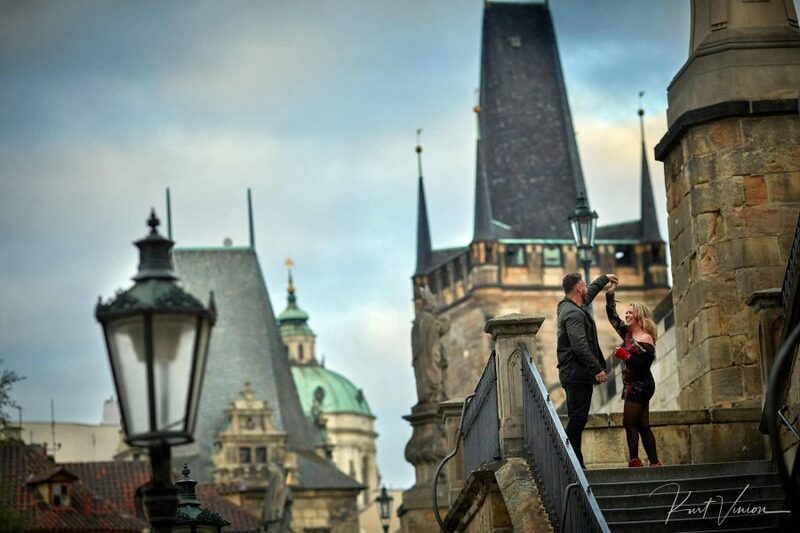 And then a year (and a few months later) they decided to meet up and celebrate where they first met – here in Prague. It was her idea to have a small lifestyle photo session to capture some new memories. 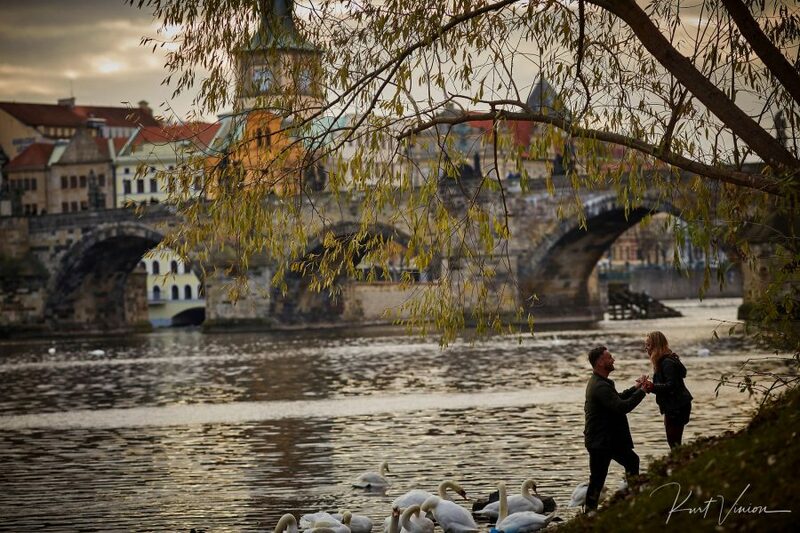 In the early hours before the city awoke and before the city is overtaken in tourists, they did just that. Cynthia warned me that she was far more interested in the photos than he was (typical guy thing) but that was most likely a ploy as Matt had something he had been holding on to for quite some time. 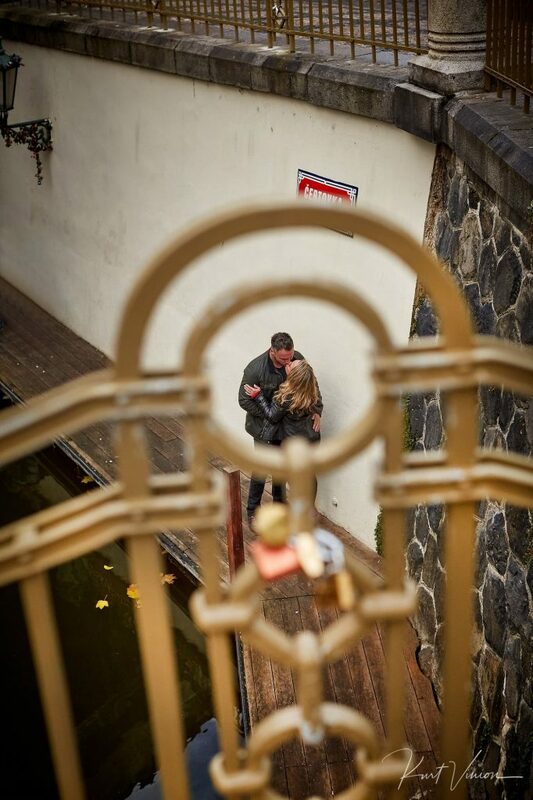 And just like fate – it all came together unsuspectingly and quite beautifully. 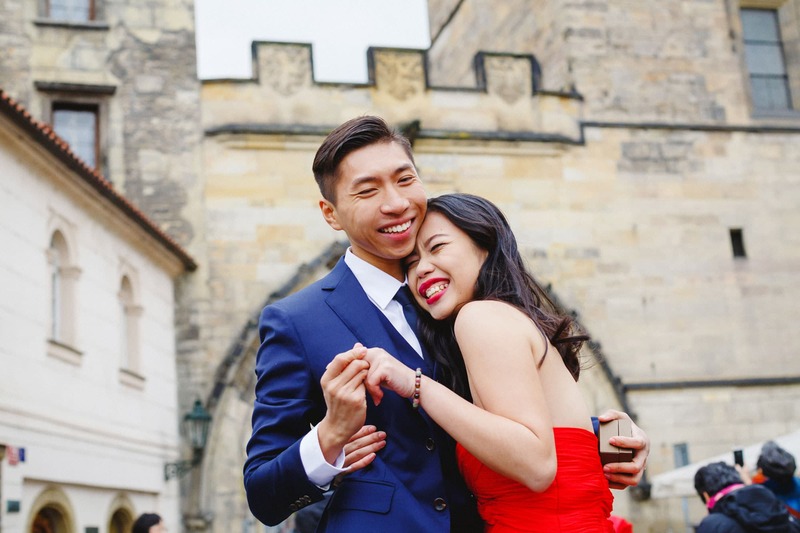 What follows here is a small photo story of that very special moment these two shared where they made the decision to spend the rest of their lives together as husband and wife. 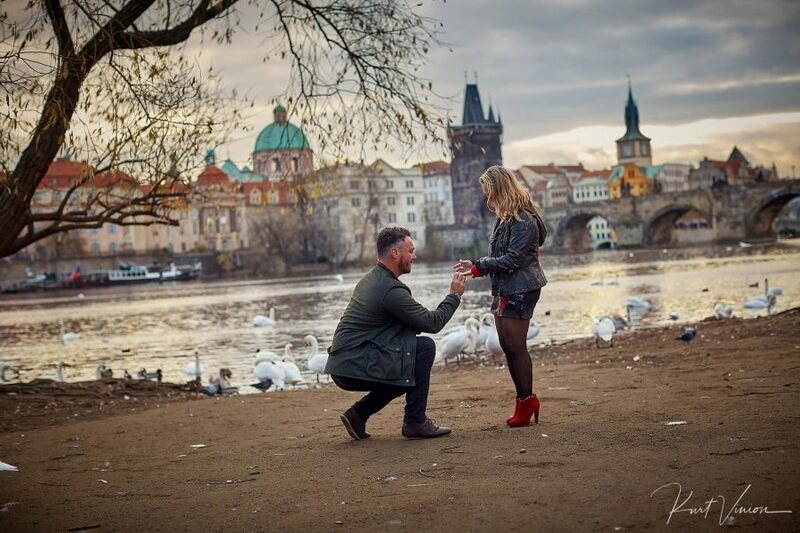 To have us capture or help in creating an unforgettable marriage proposal in Prague feel free to contact us as we would enjoy hearing from you as well capturing such a beautiful moment.